(MARANA, ARIZONA) – October 15, 2007 – The Ritz-Carlton Hotel Company, L.L.C., along with two Arizona development companies, is creating its largest and most comprehensive project to date. The half-billion-dollar Ritz-Carlton development in northwest Tucson includes a 250-room Ritz- Carlton resort hotel and spa, The Ritz-Carlton Golf Club featuring two Jack Nicklaus Signature courses, and a Ritz- Carlton branded residential community. Encompassing 850 acres within the Dove Mountain master-planned community, the new Ritz-Carlton project will be the ultimate in luxury vacationing as well as luxury living in the high Sonoran Desert. The initial investment in the project’s hotel, golf club and infrastructure totals over $276 million, and the Phase I residential program alone represents more than $220 million of sales value in homes and lots. The project marks a collaboration between The Ritz-Carlton Hotel Company, L.L.C. of Chevy Chase, MD; Cottonwood Properties of Tucson; and Greenbrier Southwest Corporation of Scottsdale. The Ritz-Carlton Hotel Company, L.L.C., through an affiliate, is a significant owner in the hotel as well as manager of the golf club and residences. The Ritz-Carlton Hotel Company, L.L.C. has a portfolio of 66 hotels and resorts worldwide. Its success in meeting consumer demand for exceptional surroundings matched by exceptional service delivery has been recognized with a virtual “sweep” of prestigious number one rankings in recent surveys by J.D. Power, Consumer Reports, The Market Matrix Hospitality Index, and Luxury Institute. Building on its reputation as the world’s leader in luxury hospitality, the company plans to add even more locations to bring its portfolio count to 100 by 2010. Founded in 1975 and owned by David Mehl, Cottonwood Properties is one of southern Arizona’s leading private developers in the Tucson area. Specializing in large-scale land developments, Cottonwood is best known for its development of the 790-acre La Paloma community, the residential portion of Rita Ranch, 200 acres in Rancho Vistoso, and its current 6,200-acre Dove Mountain project. The company has also developed numerous office, apartment, retail and housing developments in the metropolitan Tucson area. Greenbrier Southwest Corporation, founded in 1991 by husband-and-wife team Tim and Casey Bolinger, is a Scottsdale-based real estate development company specializing in hospitality development and mixed-use, master-planned communities with hospitality components. 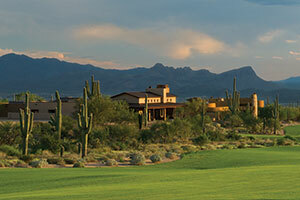 The company is a partner in and developer/operator of Hidden Meadow Ranch, a boutique luxury lodge, residential and club project in Arizona’s White Mountains, and the firm’s principals managed the planning, zoning, development and marketing of the 730-acre Kierland mixed-use community in Phoenix from its inception through 1997.